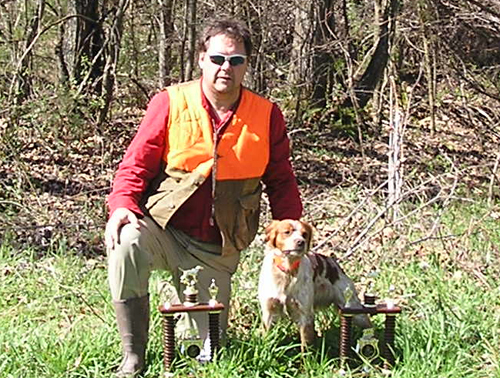 On Sunday, Vernon run by Mark Dinsmore was First Place under Judge Butch Nelson–having a tremendous run and stylishly pointing his bird–a wild hen (terribly hard to pin in the CRP AND to smell as dog after dog missed birds or bumped them). 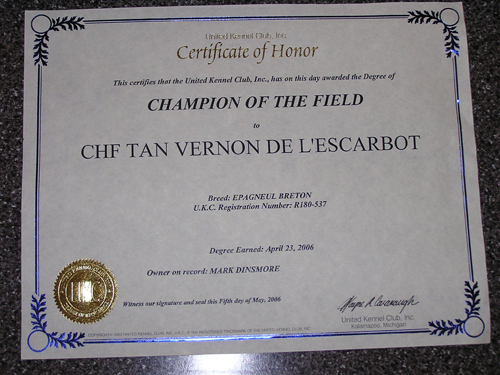 With his win, Vernon and Mark earned their Championship of the Field title and the first one conferred by UKC. 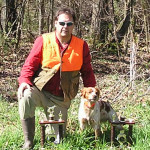 Vernon had two first places in type (L) trials in Kentucky and his Reserve Placement at the FBGDA 2006 National, so he had already earned his Trialer title and his Champion Trialer title, along with his TAN in Georgia. “Vernon”, owned by Mark Dinsmore and handled by designated handler John Mooney of Minnesota, had an energetic and outstanding run, quartering nicely. 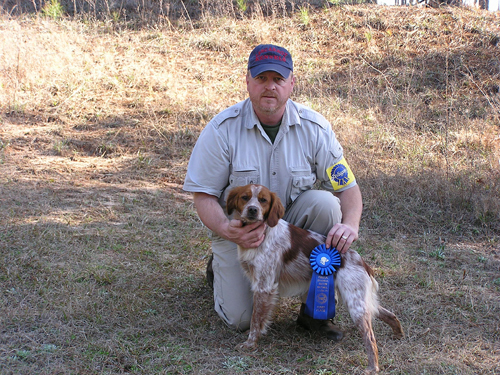 The orange roan male dog had a nice find on a bird, which flushed in a direction towards thick cover, which made it difficult for “Vernon” to mark after the designated gunner’s shot. 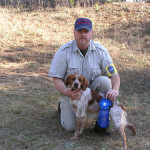 With the encouragement of his handler, “Vernon” searched diligently for the bird, finally locating him, and made a difficult retrieve to hand. 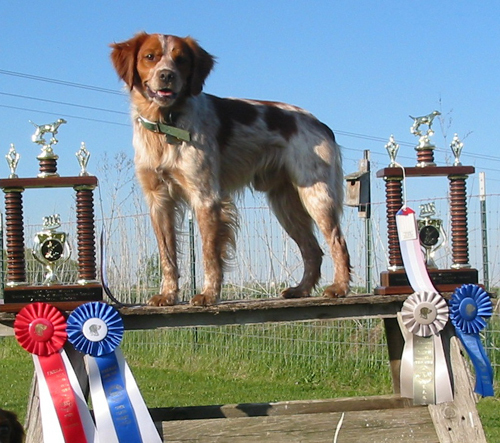 On any other day, “Vernon” would have qualified for first place, but with stiff competition from the winner, on this day “ Vernon” earned a Reserve placement for an excellent performance. 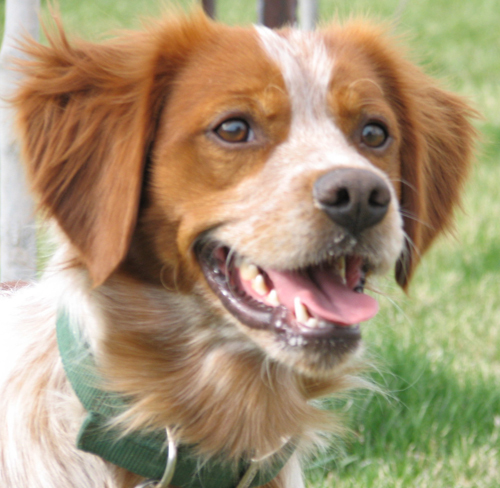 Vern also earned his TAN (Natural Ability Test) under judge Guelou (France) in that same trial. Jean Plummer judged the Open class and awarded a first to TAN Vernon De L’Escarbot, an Epagneul Breton owned by Mark Dinsmore. First place on Sunday also went to TAN Vernon De L’Escarbot, the Epagneul Breton owned by Mark Dinsmore.